You will Watch Star Wars Rebels Season 2 Episode 16 online for free episodes with HQ / high quality. Stream cartoons Star Wars Rebels Episode 29 In order to provide a safe shelter for their fighters, the Rebels plan to capture an Imperial carrier currently stationed above Ryloth, Hera’s home planet. In order to pull the mission off, the Ghost crew contacts Hera’s father, the famed Twi’lek resistance fighter Cham Syndulla. However, Cham desires to destroy the carrier as a demonstration of power, and only grudgingly agrees to capture it. Hera later tells Ezra that she and her father are not on the best of terms, as Hera believes Cham is obsessed with the Twi’lek Resistance while Cham believes Hera’s faith in the Rebellion is misguided. Piloting a captured TIE Bomber, Hera successfully infiltrates the crew and Cham’s team into the carrier, but Cham’s team betrays them and moves to destroy the carrier. 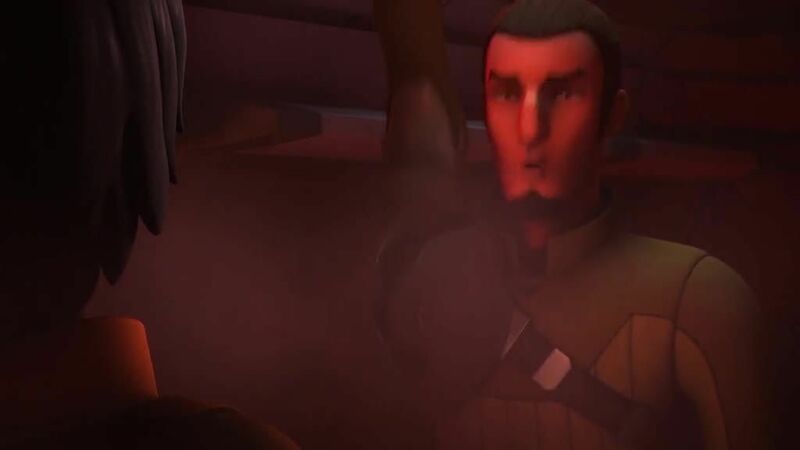 Ezra uses a Jedi mind trick on the captain to have the crew abandon ship while Zeb and Sabine subdue Cham’s men. Hera manages to convince Cham to help her, and they destroy a pursuing Imperial cruiser, achieving the demonstration Cham wanted. After adding the carrier to the Rebel fleet, Hera and Cham reconcile their relationship before parting ways.